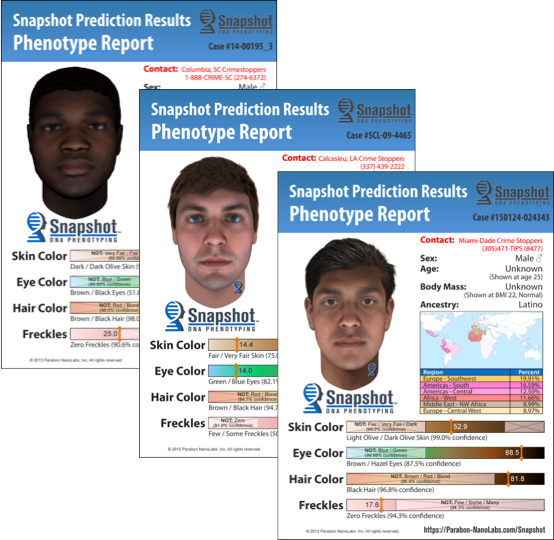 Although Parabon has produced Snapshot DNA Phenotyping Reports for a number of different federal, state, local, and international law enforcement agencies, many of these reports are considered confidential, as their release may interfere with ongoing investigations. 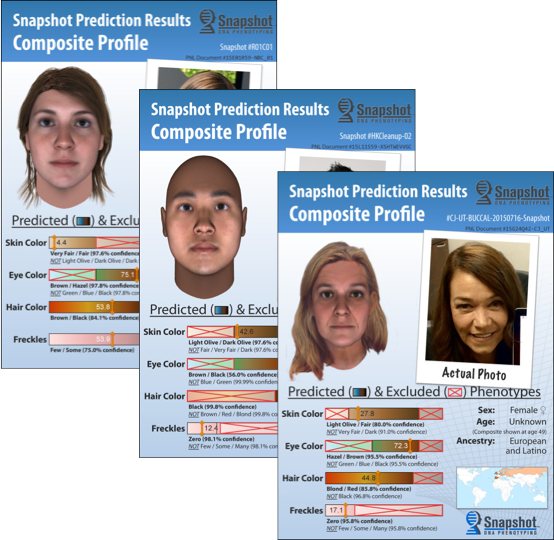 The Snapshot predictions displayed below, however, have been released publicly as persons of interest in their respective cases. If you have information pertaining to the identity and/or location of these individuals, you are encouraged to contact the numbers listed in the report. See our list of Published Police Investigations for more Snapshot profiles. See our list of Example Snapshot Predictions vs. Actual Photos for more Snapshot profiles.